In the summer of 2011, the management of Flint’s Holy Rosary Parish sought a commercial roofing contractor to help replace the roof above the Parish’s school and child development center. The Holy Rosary School caters to hundreds of students ranging from Kindergarten to 8th grade, and with limited time before the upcoming school year, Holy Rosary’s staff needed a commercial roofing contractor that could replace the roof quickly and effectively. 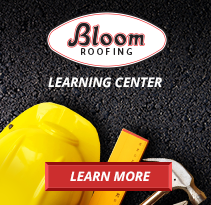 After choosing Bloom Roofing for their expertise and flawless track record, Bloom’s roofing technicians started working in early August – roughly a month before school was back in session. Though the school year was yet to start, Bloom’s team still needed to work carefully to avoid interrupting summer classes and programs. The existing 15,368 square foot system featured aging built plys, which were hastily removed down to the ½” thick Gypsum deck by Bloom’s technicians. To protect the interior of the Holy Rosary School for many years to come, Bloom’s team installed tapered ISO insulation to create slope for routing water off the roof. Above the insulation, Bloom installed a high-performance, weather-resistant adhered 60 mil EPDM roofing membrane. Bloom’s team worked efficiently to complete the roof replacement prior to the 2011 fall semester, allowing the school year to kick off without interruption. Timothy Dubbs, the Finance Council Chairperson for Holy Rosary, said that though Bloom’s quote was higher than competing roofing companies, the quality of the roof replacement was far greater than the competition. Looking for expert commercial roofing in Flint? Contact Bloom Roofing today for a commercial roofing contractor you can trust.